If you’re looking for more information about hearing aids, our frequently asked questions may help you out. How do I know I need a hearing aid? Click here for a list of warning signs of a hearing loss. At Beltone we will explain in detail what we look for to determine a hearing loss before we even test you. That way you will know after the test whether you need help or not. Beltone also has set guidelines that on what we consider a hearing loss that warrants a hearing aid. We will explain these guidelines to you before your exam, but the only way to truly find out if you have a hearing loss is to have your hearing tested annually. Click here to schedule a complimentary hearing exam. How do I know a hearing aid will work for me? The success of a hearing aid user will differ between persons based on the severity of the loss. So, if you have a friend/relative that does well with hearing aids, or poorly with hearing aids, then that does not mean you will have the same results because each individual’s loss is different. However, at Beltone you will be able to listen to and use a hearing aid before making a purchase decision. Also, we have a 30-day return policy when you purchase a hearing aid so that you have a peace of mind when making your decision. Do I need a digital hearing aid? Not every person has to have a digital hearing aid, and some previous users may prefer an analog hearing aid over digital. However, modern technology has come a long way in the last few years, and over 95% of our patients choose a digital hearing aid. Generally, the more active a person is the more advanced of a hearing aid they will need to meet their lifestyle demands. There are many different types of digital hearing aids to choose from with Beltone. We will present you with the best options for your hearing loss, thus allowing you to make an informed decision. 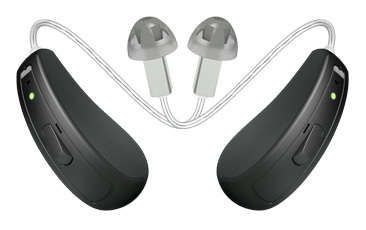 Hearing aids range in price from several hundred dollars to several thousand dollars. The more basic hearing aids will cost under $1000. The more advanced digital hearing aids will start at $1500. The average price of a hearing aid in the US is approximately $2000. On a fixed payment plan prices will start at $24 per month. At Beltone we will usually be able to you give more than one option to choose from based upon your hearing loss. However, remember that not all people can use the same hearing aid because each hearing loss is different. We have many different types of hearing aids for all types of hearing losses and budgets. Some insurance plans pay for hearing aids. However, many limit the amount of money they will pay. At Beltone we have agreements with hundreds of insurance companies that give their customers additional discounts and savings. How much does follow-up care and maintenance of my hearing aids cost? At Beltone we do not charge for the maintenance and care of your hearing aids. When you purchase a Beltone hearing aid we will take care of it for as long as you use the hearing aid at no additional cost. You also have access to over 1600 Beltone offices nationwide. So, if you move, or are on vacation, and you need help with your hearing aids; then you can go to the nearest Beltone office. “Melisa, I am so happy with my hearing aids. The listening experience is wonderful. I don’t want to take them out. Just so glad I came at the time when you are working in that office. My health is the only thing that matters at this stage of life. Thank you so much. The lady at the front desk is also very good at helping clients feel welcome. “From the time I stepped into the “Beltone” door and welcomed by Dee and Scott. I immediately felt that I was in the “right” place to be able to hear again. Scott made certain that everything was OK before fitting me up correctly. What patience they have! — to answer to smallest of issues. Now.. the more than happy day happened. Recently..I went to a play/concert.. when I got home.. I said to myself “I can’t” believe this.. I actually heard every word. Its been a long time since I could say that.